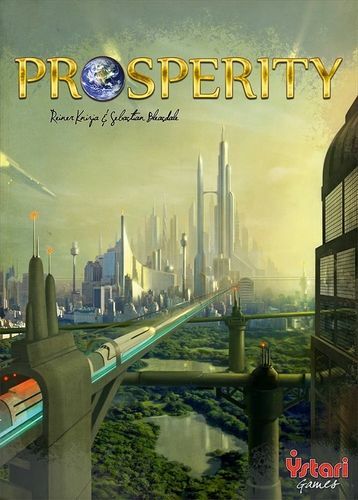 Prosperity has players building up their countries on a grand but abstract scale, with them needing to balance concerns over energy and ecology with the constant need for capital and the long-term goal of prosperity points.\n\nThe game starts with 24 tiles available, half on the energy side of the shared game board and half on the ecology side. Two tiles on each side are placed on levels 1-6, with the players each having two research markers – energy and ecology – that start at level 1. Each player has an individual game board with color-coded spaces for tiles, a pollution track, and tracks for energy and ecology. A stack of 36 tiles – with tiles arranged by decades: the six from 2030 on the bottom, then the five from 2020, and so on to the five from 1970 – is set up during the playing area.\n\nOn a turn, a player draws the top tile from the stack, then everyone resolves the symbol highlighted on the tile:\n\nEnergy – for a positive value, earn money; for a negative value, lose money or increase your pollution\nEcology – remove or add discs to your pollution track\nCapital – earn money for each capital symbol on the tiles you own\nResearch – advance one research marker one space for each research symbol on tiles you own\nProsperity – score points for each prosperity symbol on tiles you own, but only if your pollution isn't maxed out\nOnce everyone has done this, the active player takes two actions, repeating an action if desired. The possible actions are:\n\nTake money.\nRemove one pollution marker.\nMove forward one space on one research track.\nBuy a tile, with the amount owed being based on whether the tile is energy or ecology and the level of your corresponding research marker. 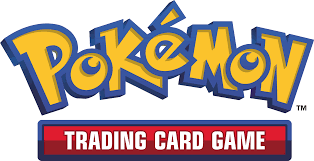 If you buy a tile of the same level, the cost is €100; if the tile is of a higher level, you pay €100, plus €100 for each level; and if the tile is lower, you pay a flat €50.\nPlayers have limited space for tiles on their individual boards, especially since the tiles and spaces are color-coded, but players can cover existing tiles, if desired, losing any benefits (or penalties) in the process. Some parts of the individual board are off-limits to new infrastructure until you first provide transport; toll roads, highways and even train systems have drawbacks of their own, but ideally you'll be able to build your way past those trouble spots without causing too much pollution.\n\nWhen the final tile is drawn, that player finishes his turn, then everyone scores: twice for their energy and ecology levels, one for capital (with money being converted into prosperity points), once for research on both tracks (with points for those researching the most), and once for prosperity. Whoever tallies the most prosperity points wins!